A good neighbor friend of mine grows an incredible garden each year and this year is no exception. Zucchini is one of the vegetables she planted this year and they have absolutely taken over her entire garden. Knowing that I love to cook and entertain, she made the “HELP! !” call to me not knowing what to do with the abundance of zucchini coming out of her garden. At least once a week, she drops off some of her yields because they cannot eat it fast enough. I committed to finding her some recipes and even making one of my own. 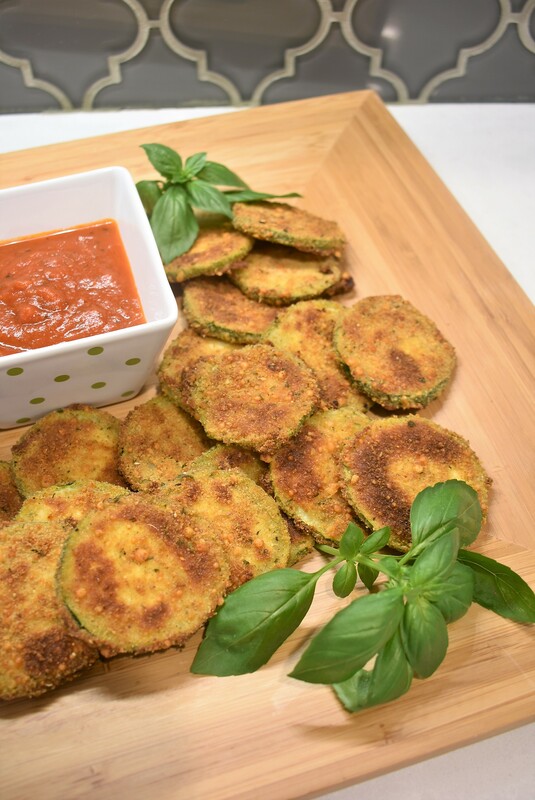 So, today, I created this recipe for Crispy Italian Baked Parmesan Zucchini for her and my neighbors since we all are benefitting from her abundance of zucchini! The leaves are literally bigger than my head…and this all started from one tiny plant! For most of my life, I have been what I would call a “wing it” cook. By that I mean, I will taste something that I like and figure out a way to make it myself…just like my mother. My mother is legally blind, so she cannot see to read recipes. Most of the time, she just makes her own creations by trial and error. Actually, the time she put cayenne pepper instead of cinnamon in our oatmeal was a perfect example (since they are the same color basically)! I have always loved fried zucchini but wasn’t up for frying, so I decided to bake it. Yesterday, my neighbor dropped off these two freakishly enormous zucchini for me to use but I only needed one to make two full batches. Just one of these zucchinis is equivalent to three or four regular sized zucchinis. Crazy! Right?! I placed these on a full-size dinner plate so you could grasp the scale of these! So, go get yourself some zucchini and try out my Crispy Italian Baked Parmesan Zucchini! I would love to hear your thoughts on this new recipe. I have not done any posts with my own recipes yet so I thought I would give it a whirl. This is a quick and easy way to prepare "fried" zucchini without frying it. Much healthier and still crispy! Pre-heat oven to 425 degrees. Line a baking sheet with parchment paper and spray with olive oil cooking spray to cover. Slice zucchini into 1/4" rounds. Place rounds on some paper towels and then place more paper towels on top. Cover with the baking sheet to help press out some of the moisture while you are preparing the other ingredients. Gently blend the eggs and place in a shallow container. Combine the Italian bread crumbs, parmesan cheese and the rest of the dry ingredients in another shallow container. Coat the zucchini in the eggs and then dredge them in the breadcrumb mixture, pressing lightly to coat. Place them on the prepared baking sheet and spray the tops with a generous amount of the cooking spray. Bake for 35-40 minutes (or less if your zucchini are smaller), turning once at about 25 minutes until crispy and golden. Let stand for 5-10 and serve warm. Soaking up some of the moisture will help keep the zuccini from getting too soggy. If you would rather use plain breadcrumbs, then just add some Italian seasoning. We enjoyed our Crispy Italian Baked Parmesean Zuccini with sides of ranch dressing and marinara. This is a fun photo bomb by “Arlo” when I was photographing the garden. Good stuff! He is very close to my heart as I have known him since the first day he came to their family. He is one of our “pack” for sure. I enjoyed creating this recipe for Crispy Italian Baked Parmesan Zucchini…my family loves them. 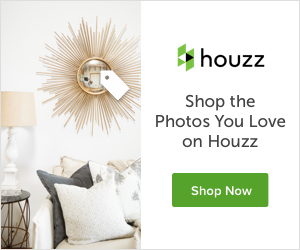 If you would like more recipes for appetizers, click on over to my Pinterest page (with over 60 boards) for more inspiration. Also, please consider subscribing to my blog so you can receive instant (and free!) notifications of new posts. Can’t wait to try this myself with the ones we picked yesterday! They look delicious! Happy to do a personal tutorial!! Or, I am happy to cook up another batch for you to try! Yum!! Love zucchini, and that cutie bulldog, ha! I have two small raised beds, tried zucchini one time, got a huge plant and one giant zucchini, then it went kaput. I do better with herbs and peppers, always trying and learning each season! Hi Lory! She is also growing hers in a raised bed. I am learning the key seems to full sun and LOTS of water. Her plant gets watered twice a day. Maybe give it a whirl again. Her one plant is putting out enough zucchini to feed a neighborhood! Ha! Thanks for stopping by!! Yum! Great tutorial and recipe! Thanks, Holly! Yummo!! We love dishes like this in the summertime. I will definitely be giving this a try. YUM! I am always looking for weight watchers adaptable recipes that are also yummy! Can’t wait to try this! Hi Cindy! Thank you for stopping by. I hope you enjoy it!! Oh my this is right up my alley, it looks so healthy since it is baked and not fried. I will definitely be trying this one out. I cannot wait to give this a try. I love all things zucchini and I never thought about baking it. What a great idea! Thanks for sharing!